The BBA Challenge arrives at the “King of Breads”, Pain Poilane, the most traditional bread in Paris! Of course, pain Poilane brings us great memories! Every couple of weeks, we slightly changed our normal walking route from home to work, in order to stop at the Poilane Boulangerie on Rue Grenelle in the 15th arrondisement, and grab one of those huge “boules”, that we enjoyed to the last crumb on the succeeding days. Lionel Poilane himself trained each of the bakers that worked in his boulangerie, a process that started by making sure they could not only properly light their wood ovens, but also know when the oven temperature was correct for baking without a thermometer, by using just their bare hands to “feel” the heat inside. 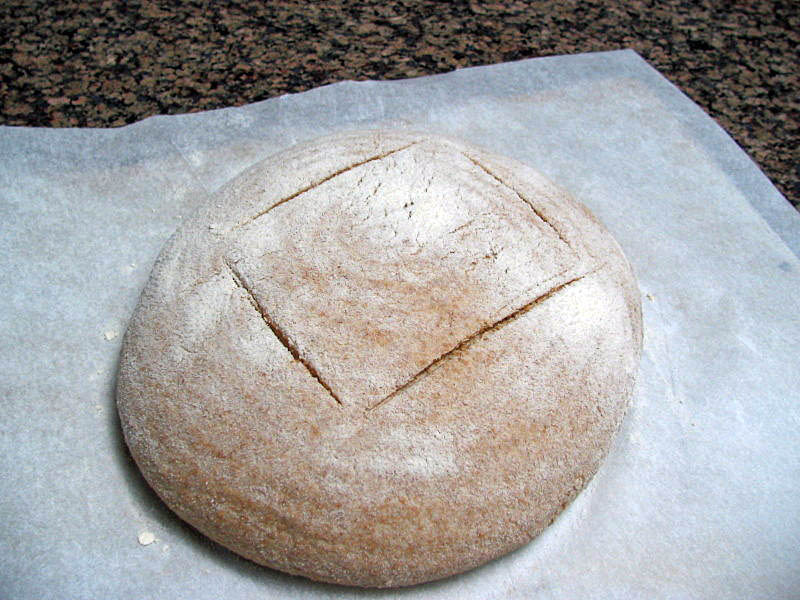 Each baker was responsible for the entire process of making each loaf, beginning to end. This kind of passion and commitment fascinates me. 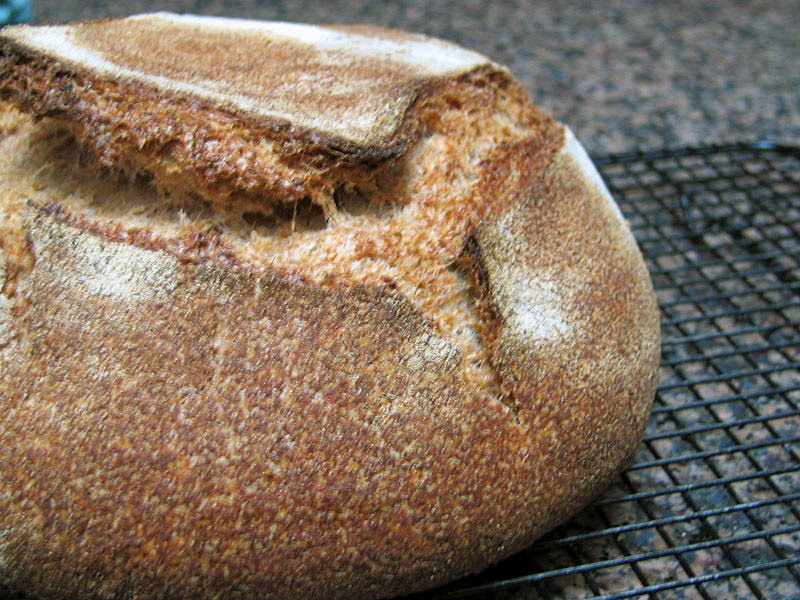 To mimic the great Poilane bread, Peter Reinhart uses 100% whole wheat flour, and a sourdough starter fed with whole wheat flour before being incorporated in the dough. It makes a huge loaf, but I divided it in two and baked them on consecutive days, retarding one of the “boules” in the fridge overnight. Kneading this dough is not for sissies. It’s impossible to knead the full recipe in a KitchenAid mixer, no matter how powerful. He recommends kneading by hand – which I’ve done in the past, but had to reconsider this time – my wrists simply could not take handling such a large amount of dough. 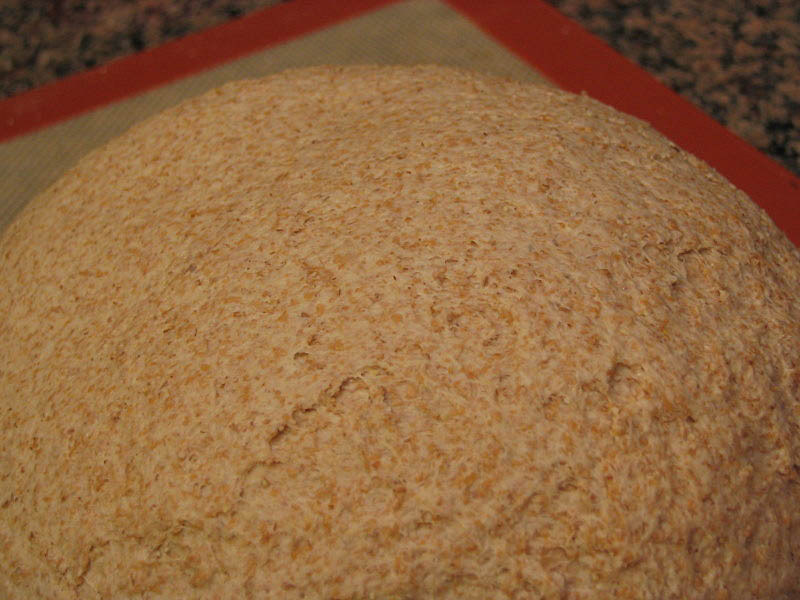 So, I improvised – divided the dough in 4 small portions and… used the food processor to knead it. Twenty to thirty seconds per portion did the trick, the dough ended up very smooth and elastic, with clear gluten development. Here are some photos of the process, which, fortunately, went quite smoothly…. 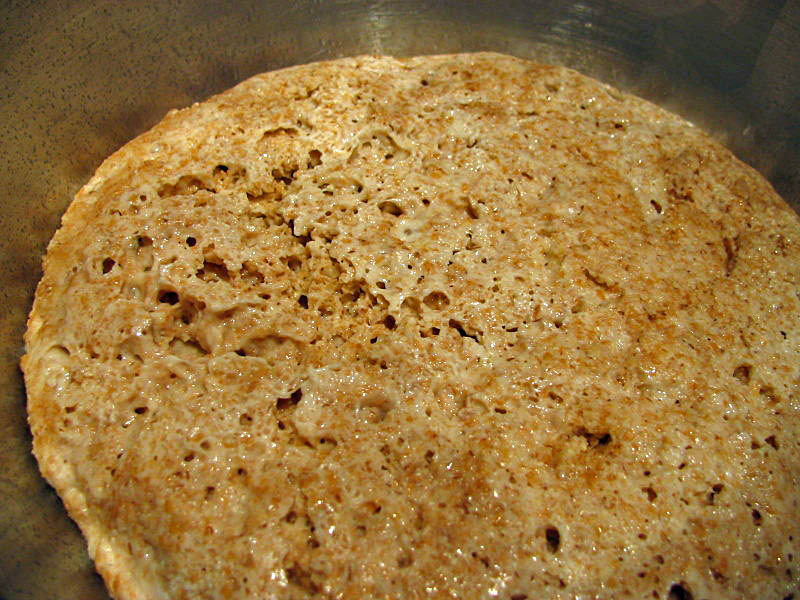 The dough, ready to rise for 4 hours…. as to the second bread: it did not have as much oven spring, even though I kept it at room temperature for a full 4 hours before baking. But the flavor was better than the first loaf. If you want to see the “real” Poilane…. jump to next page…. 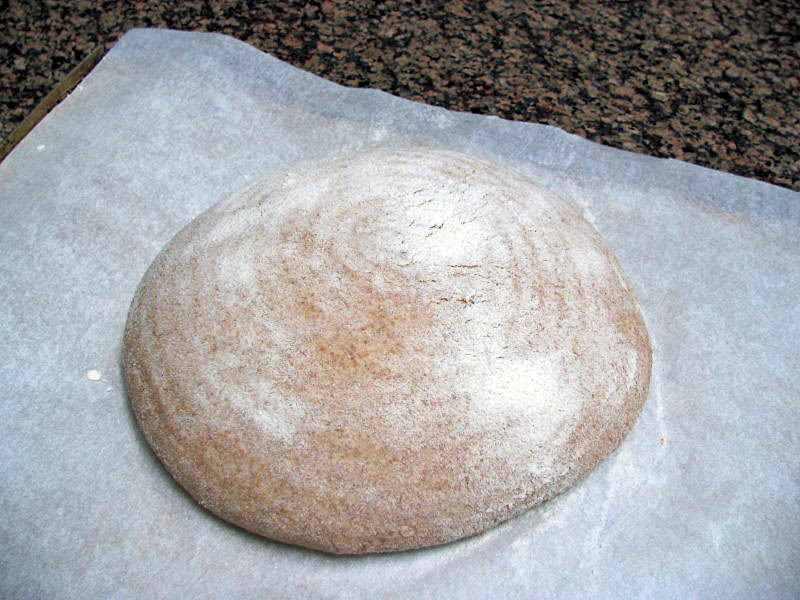 And here, is the real Poilane loaf… A masterpiece! Oh yum! 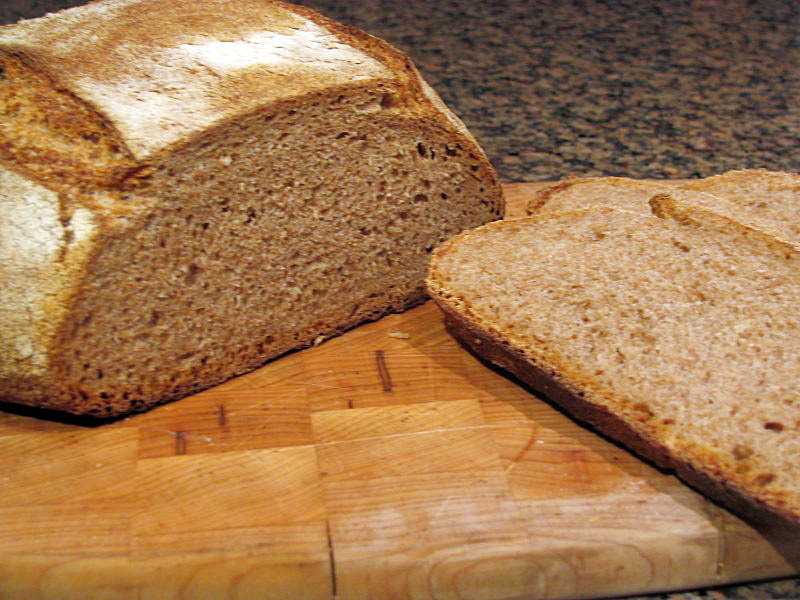 This bread looks absolutely delicious!!! I look forward to your blog about it! Merry Christmas! Beautiful, Sally. 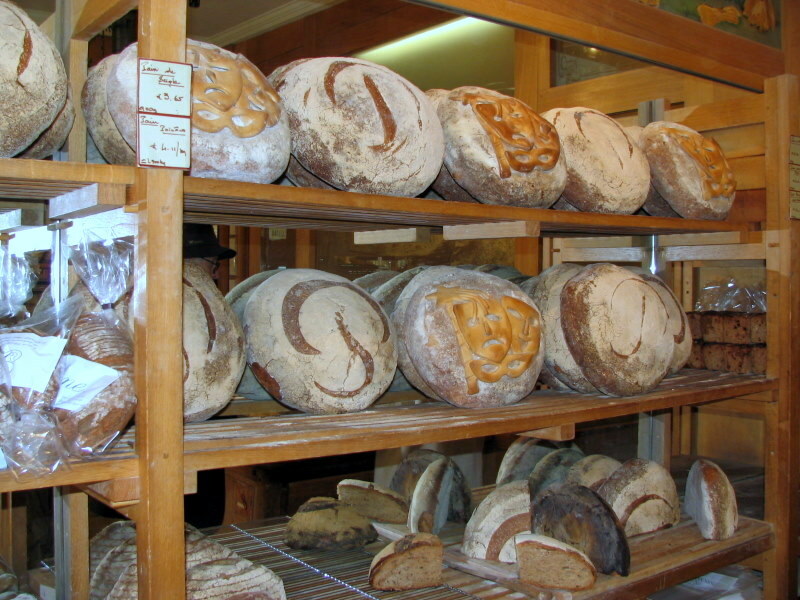 When I was in Paris a trip to Poilane’s shop on Rue du Cherche-Midi was a highlight and we loved the bread. 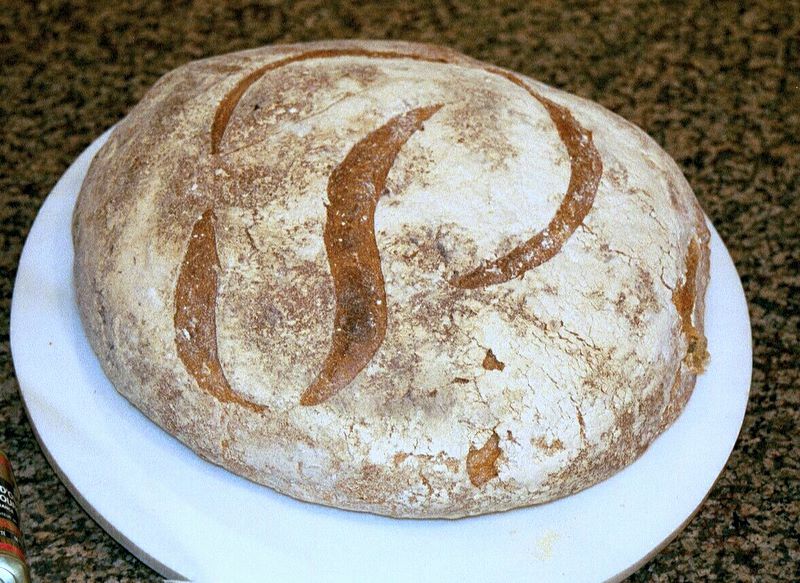 This is a beautiful bread! I love the historical perspective you provided along with it. That looks really great! Well done! Wow, this one looks impressive. 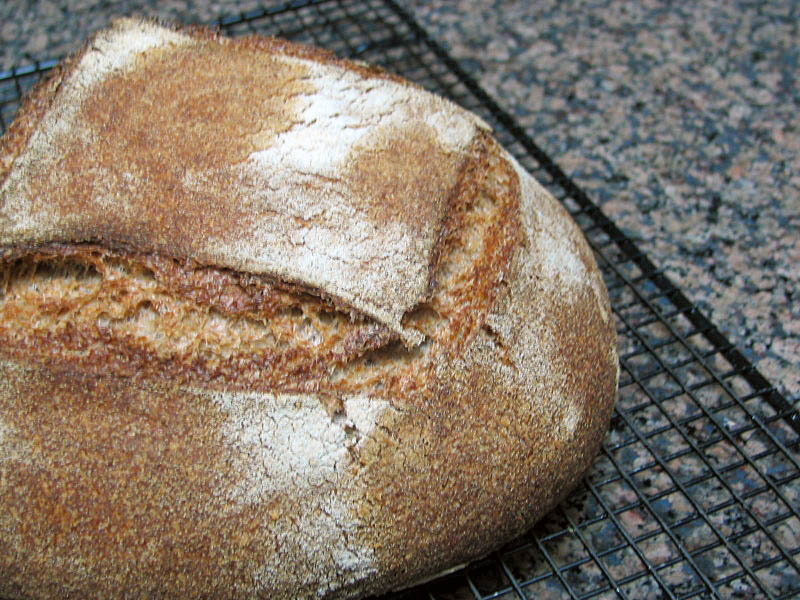 I wasn’t really successful with my miche, but will make it again soon!